Whether you're voting for "strong and stable government" or "for the many, not the few" (other political parties are available) the thankfully short 2017 general election campaign culminates in polling this Thursday. 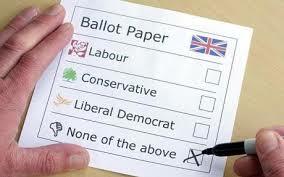 The British public, perhaps weary of all the major votes over the last couple of years, may well resort to that old adage, why vote? it only encourages them - a saying whose originator is defined as 'anonymous', though the internet seems to think, erroneously, that it's Billy Connelly. Thirty-eight years ago last month the UK voted in its first female Prime Minister. "A new satirical dawn is breaking" remarked wit and satirist Alan Coren. 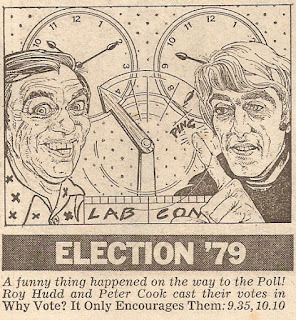 On the cusp of that seismic change in politics, just before, and immediately after, the close of polls on 3 May 1979 BBC Radio 4 broadcast this admittedly rather shambolic live comedy show to mark the change of guard from Sunny Jim (cue impression from Chris Emmett) to the Iron Lady (wheel on Janet Brown). Why Vote? It Only Encourages Them was a combination of The News Huddlines and The News Quiz. From Huddlines comes the master of ceremonies for the whole show, Roy Hudd, together with the aforementioned Chris Emmett and Janet Brown. From The News Quiz are the regular team captains Alan Coren and Richard Ingrams joined by Willie Rushton and Peter Cook. David Jason, at the time a regular voice on Week Ending, also pops up. There are some bizarre, though nonetheless funny, interludes in which Brian Johnston and Bill Frindall describe what's going on the BBC1 TV coverage, a joke that works better in the studio. The programme was broadcast live - and the gaps do sometimes show, ably covered-up by Hudd - from 9.35 pm, just before the close of polls, until 10.00 pm. Brain Redhead then appears for ten minutes in discuss the predictions on the final outcome, though this has been edited out on this recording. The comedy resumes again at 10.10 pm for half-an-hour with the comedians now off the leash a little more, as the ballot boxes have now been sealed. 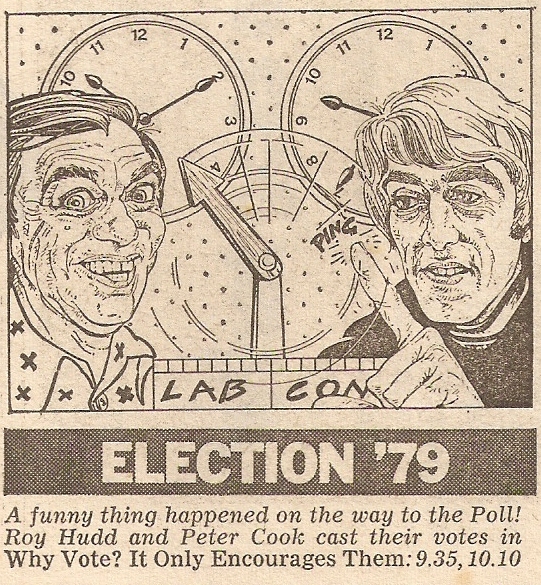 (Topical comedy shows had to tread a little more carefully during the election period, more so than it does now. Week Ending was pulled from the schedules as soon as the election was called). To my knowledge Why Vote? It Only Encourages Them has never been repeated, not surprising given its topical nature. I'm grateful to David Mann who kindly supplied this recording. Of course, I would encourage you all to vote this coming Thursday. If the sound of Radio 1's early 90s comedy output was predominantly male - Morris, Lewis-Smith, Lee and Herring etc. - then the female riposte came in the form of Windbags. 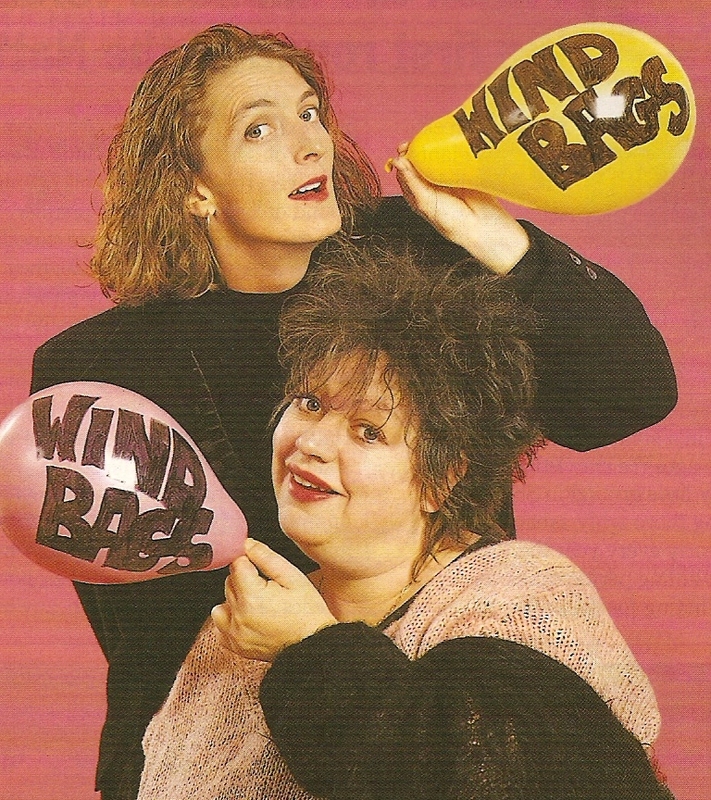 Windbags saw the comedy pairing of stand-ups Jo Brand and Donna McPhail and ran for two short series in 1993 and 1994. Tim Worthington describes it as the perfect vehicle for their "established tongue-in-cheek acerbic view of dumb chauvinist attitudes an notions of conventional female deportment, and this made for a hugely entertaining show that strongly appealed to sympathetic listeners". In this, the series two finale, from 11 July 1994 joining Jo and Donna are Dawn French, Hattie Hayridge, Sarah Dunant and Sue Carpenter. The producer is Caroline Leddy. (Incidentally I've no idea why, at intervals, you keep hearing "who turned out the lights" during the first half of this recording).